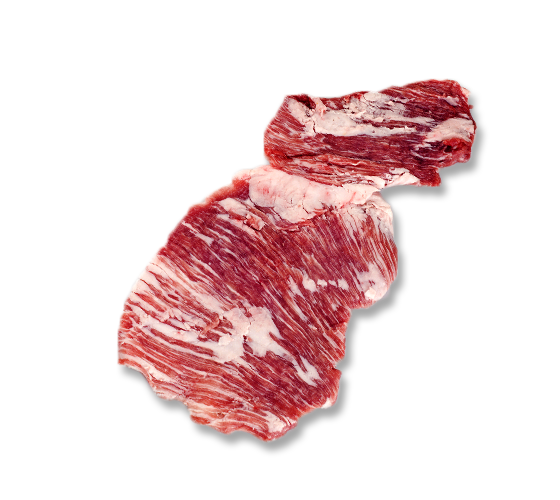 The Abanico Ibérico is a fine, highly marbled cut that can be consumed whole, sliced or even cut into small cube like portions. Its name arises from the shape of the muscle that makes up the same, which is similar to the shape of a hand or an open hand fan. Its meat is very tasty and juicy, perfect for charcoal barbequing or simply grilled. Ibérico Pork Cheeks is a cut of meat that has come into its own, right now being highly fashionable among the chefs of our country. This cut is actually the Masseter muscle of the Ibérico pig, which results in one of the most delicious cuts of meat, rich and oozing in gelatin. It is usually prepared through slow cooking processes so that the meat will be very tender and mellow. Also, the collagen in the piece enriches the texture of the sauce obtained from its slow cooking. Some of the more outstanding recipes call for pan frying or barbequing once it has been slowly stewed. This way you obtain an additional crunchy texture on its surface. The Ibérico Sirloin is one of the most highly appreciated cuts of meat of the Ibérico pig. This is for many reasons: its flavor, its tenderness and its simplicity when handling. This is a tender, elongated muscle that is very easy to cut up into steaks, cut down the middle or left whole. 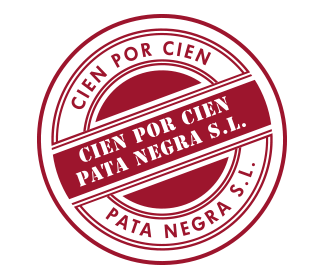 The Presa Ibérica, which is also called Bola, is a cut of Ibérico pork that is very juicy and tasty. 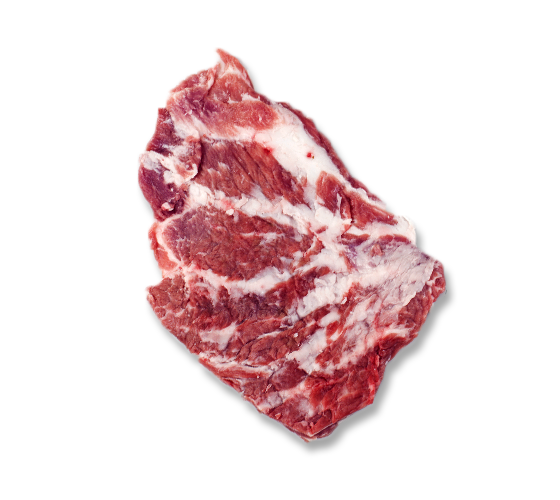 It has a high amount of fat marbling, which of course turns it into a delicacy for lovers of meat. 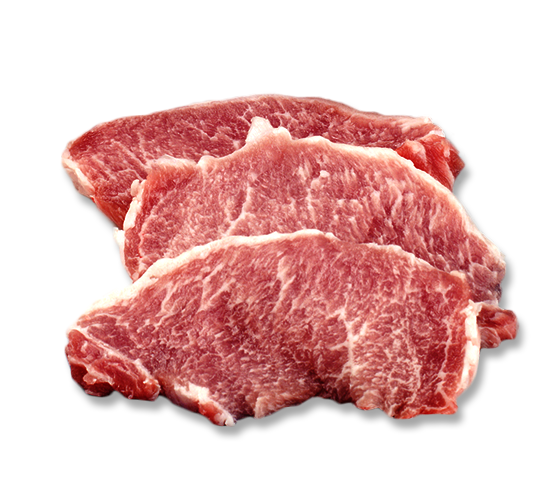 Its flavor is intense, yet hued by the fat marbling, which ensures that it is highly balanced in flavor and quality. 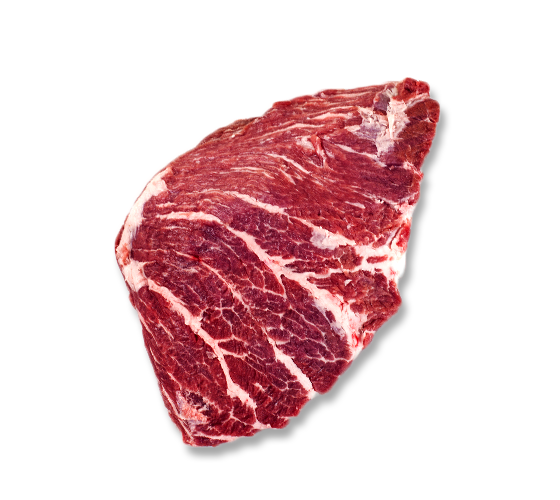 Prime Ibérico Secreto is another cut of the Ibérico pig that is highly fat marbled. It is extremely juicy and tender. 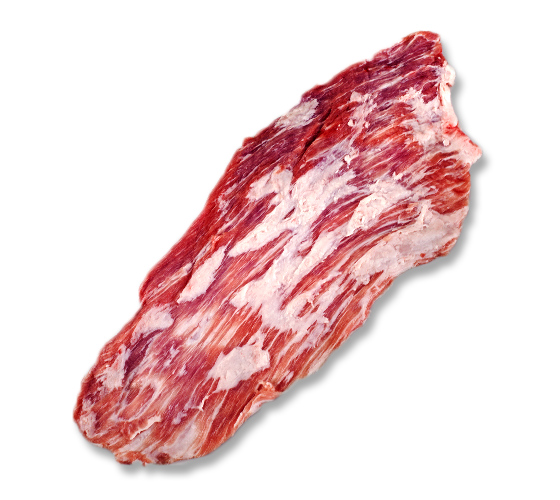 The Extra Ibérico Secreto, also known as Cruceta Ibérica is one of the pork cuts with the greatest amount of fat marbling. This is the reason why it is extremely mellow and tender. This is also the reason why it has been consumed for years on end unlike other pork cuts that have recently come into fashion. The Pluma Ibérica is quite probably the most highly appreciated cut for gourmets in that pertaining to the characteristic cuts of the Ibérico pig. 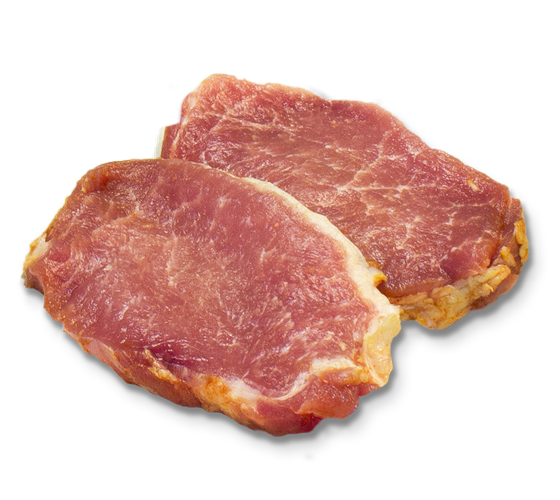 It is considered to be a cut with the perfect balance between marbled fat and lean meat and its size makes it perfect for individual portions. 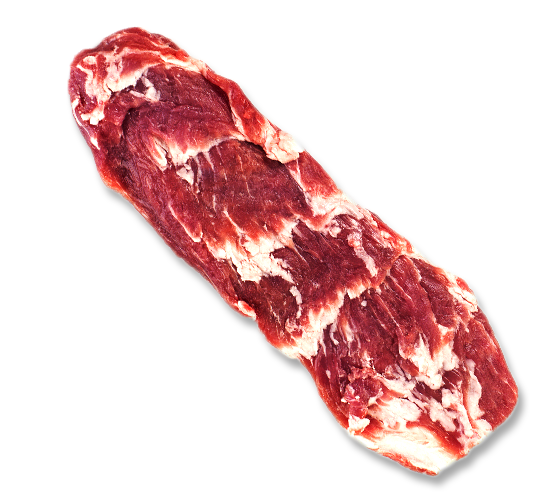 The Látigo Ibérico (Ibérico Whip) or Lagarto Ibérico (Ibérico Lizard) is neither an iguana nor does it serve to domesticate animals, but is in fact a delicious cut of Ibérico pork. 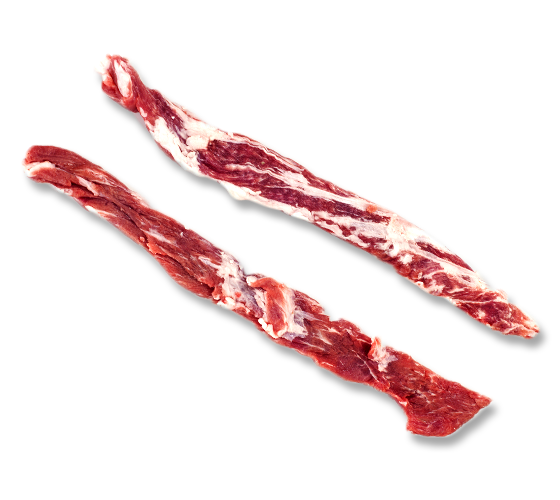 This cut is a sort of cord that forms up part of the loin cut, a cut that is obtained from between the ribs and the loin, resulting in medium sized strips about two to four centimeters in width. 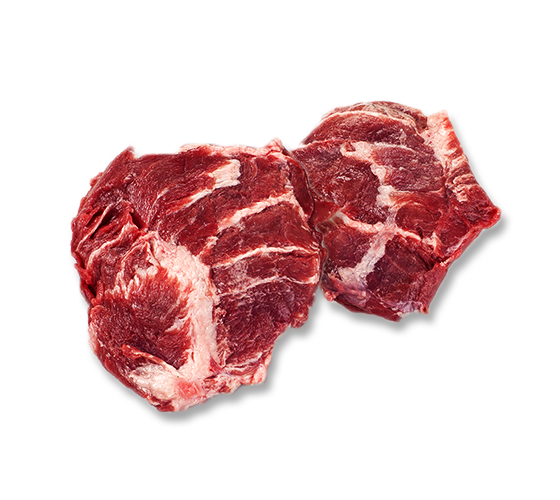 This cut is of premium quality and very tender, which currently is in high demand as it is used in the restaurant business. 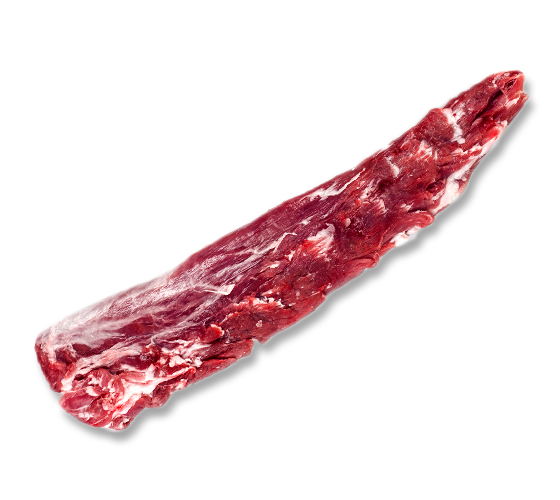 The Ibérico Loin is particularly juicy thanks to its important fat marbling. It is used in the kitchen in many diverse ways. The entire cut can be cooked or it can be sliced into rather large pieces and it can even be oven roasted. Sliced to taste it can also be pan fried or grilled. And it is quite often diced and skewered in kebabs. The macerated and cured Ibérico Loin is particularly tasty because of the traditional formula that is used for its maceration and it is also very juicy due to its high fat marbling. 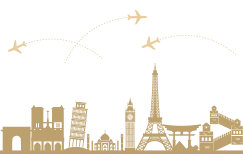 It is used in the kitchen in many diverse ways. Normally it is sliced to taste and then pan fried or grilled. It is by far the star in many small bites and sandwiches, representing a simple and easy way to come up with a delicious lunch or dinner with minimal effort.